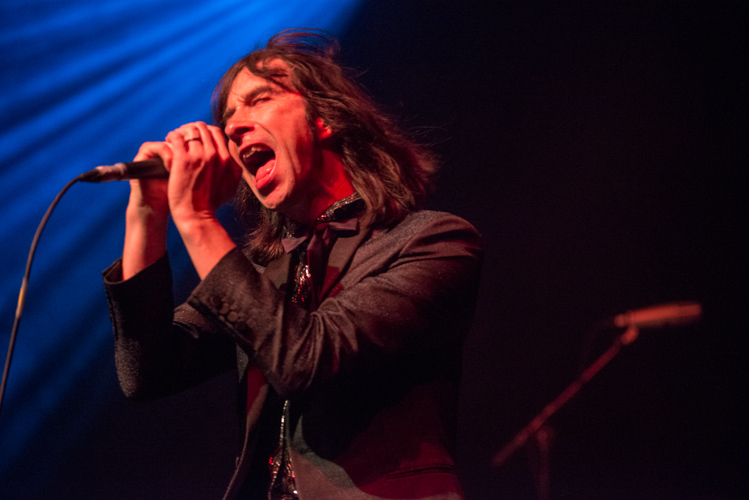 Four decades long and still going strong, Primal Scream graced the stage at one of my favorite San Francisco venues this past weekend and blew some minds once again. 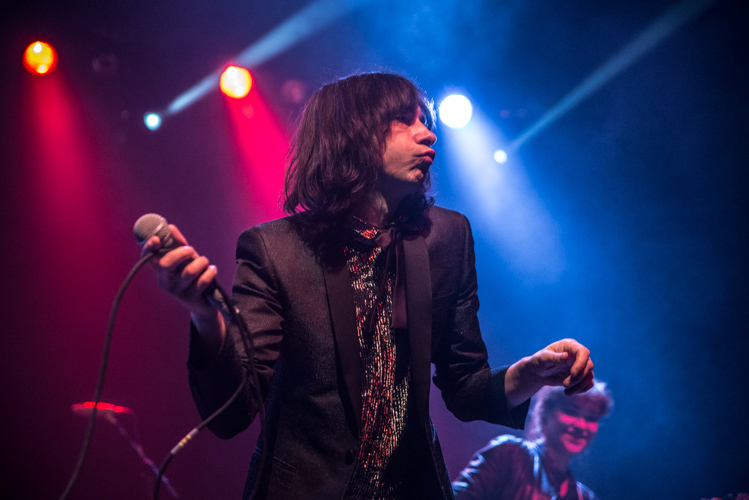 Singer Bobby Gillespie and company have mashed together more genres throughout their brilliant career than most bands listen to in a lifetime; and Gillespie does it with a style and swagger all his own. 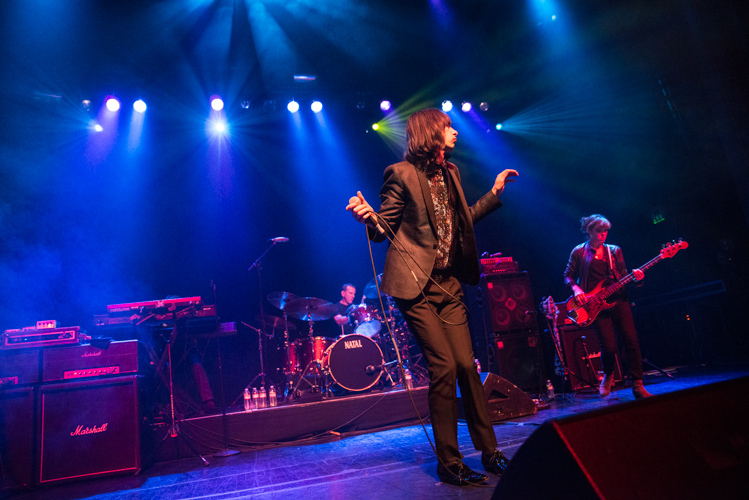 This night at the Regency Ballroom would be no different and the crowd was treated to a set list full of raucous garage rock, acid-infused psychedelic turbo charged dance grooves. How these guys sound so spectacular after what they’ve been through is beyond me, but apparently they still have something to prove, and prove beyond a doubt is what they did. 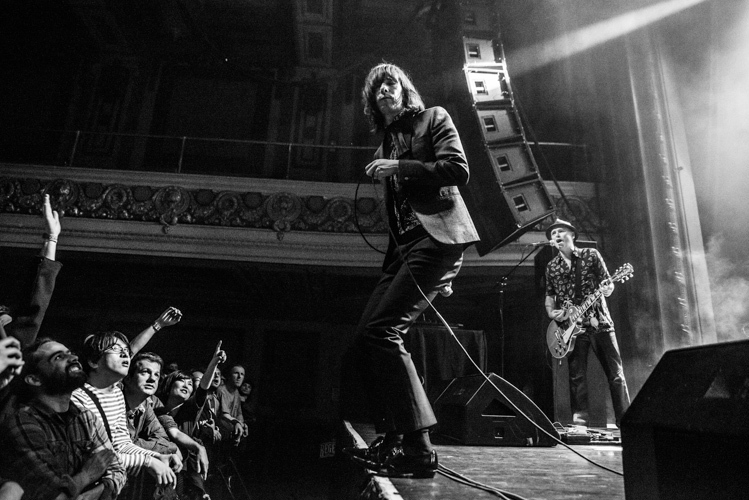 With only four U.S. tour dates all happening along the West Coast, San Francisco was lucky enough to be one of those. Touring in support of its tenth studio album More Light, Gillespie was joined by Andrew Innes, Martin Duffy, Darrin Mooney, Barrie Cadogan and Simone Butler. The David Holmes-produced More Light features guest appearances by Robert Plant, My Bloody Valentine’s Kevin Shields and Mark Stewart of The Pop Group. Surprisingly there are no current plans for any other North American appearances this year. Opening the set with the same track that opens their latest album, “2013” would set the stage for what would be an epic evening. The huge “wall of sound” that started off the night would continue on for almost two hours. Gillespie would pepper in three more from their latest among a cornucopia of fan favorites in the setlist that included “River of Pain”, “Autobahn 66”, “Country Girl”, “Rocks”, and finally ending the night with the band on a high note with “Movin’ on Up”. Check out all the photos from the show in the gallery.